The incessant humidity and heat seem to be in our rearview mirrors. Cooler, crisp days and evenings are on our doorstep. These days are a fly fishermen’s’ dream! The area rivers have been stocked with healthy 12-16″ rainbows and browns. Local ponds have also received their allotment of fall fish. This “cocktail” of fish and cooperating temps only needs you to complete the recipe. The water levels are starting to recede nicely and the fall is shaping up to be a banner season. For the first time in 3-4 years, we have fall water in our streams. Get your gear, tune it up if necessary and point your car in the direction of your favorite stream, river, pond, lake, etc. A day away from the office is worth 10 days of stress at your desk. Gone fishin’ is the order of the day. 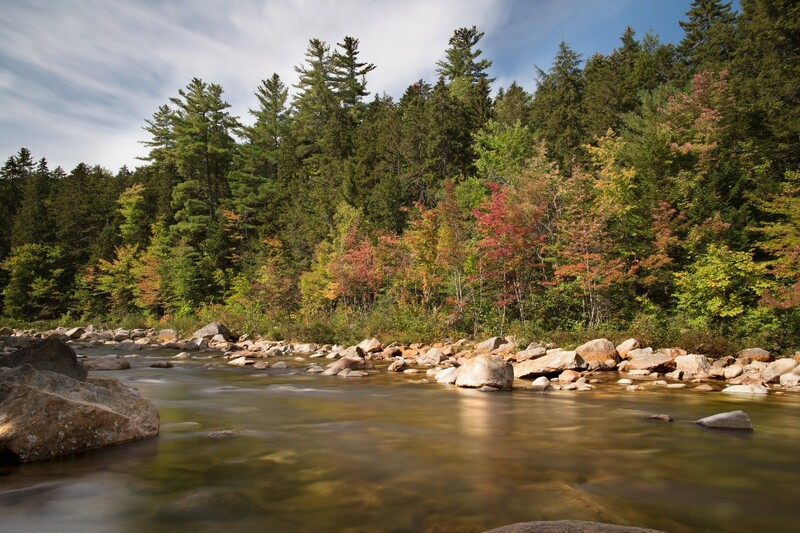 You will be glad you “turned the tables” on your workload by spending a glorious day in full view of fall colors, rising trout and taking part in some healthy stress relief! If you need new waders to keep you dry, a more comfortable pair of wading shoes or a new reel, rod or line then come to the Evening Sun Fly Shop and see the line-up of new products I have brought to the shop. First class items, knowledgeable people to help fit and explain your items, and competitive pricing are the hallmarks of my fly shop. Pressure sales and false claims are “parked at the doorstep”. Only helpful, honest service is supplied to you as a way of conducting my business. The Three Rivers Stocking Group will be holding their annual fundraising banquet on 9/10/18. Try to attend as there will be lots of great items for reasonable prices as well as a fine dinner that accompanies the festivities. Check out their website for details. This group is responsible for stocking the Lamprey, Cocheco, Isinglas and Exeter Rivers in southeast NH. Their efforts allow us to fish these rivers during the fall and early winter. Please support their fundraising efforts by attending and having a fine meal as well as garnering some new items. This group deserves all of our support. Classes will be beginning the end of October. If interested, please call or email the shop for details and to sign up. The ESFS will be running every month interesting factoids…..